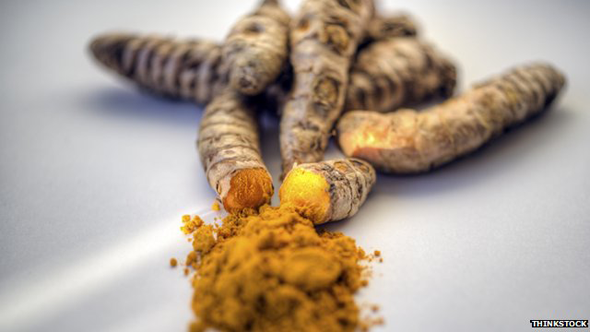 The German study suggests a compound found in turmeric could encourage the growth of nerve cells thought to be part of the brain's repair kit. Scientists say this work, based in rats, may pave the way for future drugs for strokes and Alzheimer's disease. But they say more trials are needed to see whether this applies to humans. Researchers from the Institute of Neuroscience and Medicine in Julich, Germany, studied the effects of aromatic-turmerone - a compound found naturally in turmeric. And the cells bathed in the turmeric compound seemed to specialise into certain types of brain cells more rapidly too. Dr Rueger added: "It is interesting that it might be possible to boost the effectiveness of the stem cells with aromatic-turmerone. "And it is possible this in turn can help boost repair in the brain." Dr Laura Phipps at the charity, Alzheimer's Research UK, said: "It is not clear whether the results of this research would translate to people, or whether the ability to generate new brain cells in this way would benefit people with Alzheimer's disease. 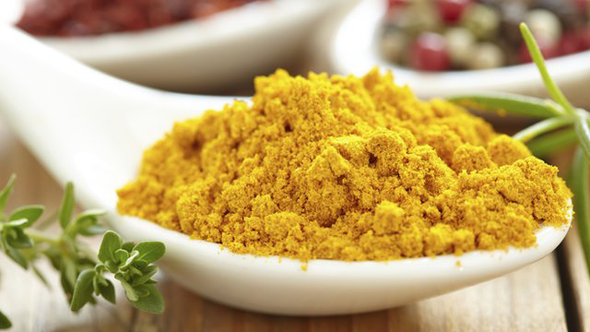 "We'd need to see further studies to fully understand this compound's effects in the context of a complex disease like Alzheimer's, and until then people shouldn't take this as a sign to stock up on supplies of turmeric for the spice rack."